Every morning, you wake up early so you’ll have plenty of time to fight with the flat iron. When you finally get it all straight, it still looks a bit dry and frizzy. You love the straightened style, but you’re tired of the hassle every morning. If this sounds like you, keratin treatments may be the perfect solution. 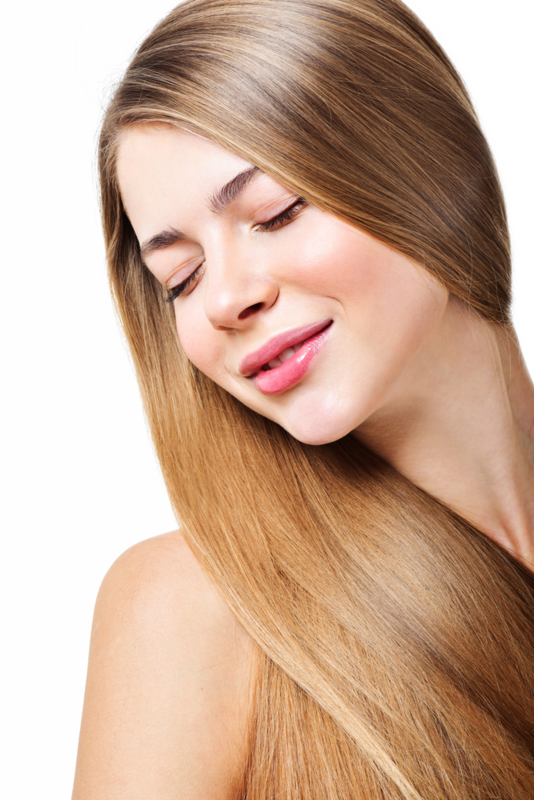 Keratin is a protein that enhances the structure of each hair strand to make it strong and healthy looking. Keratin treatments infuse this protein into your hair, along with straighteners, to leave hair silky soft, shiny, and straight for three to five months. This long-lasting effect means that you no longer have to waste time every morning with the flat iron. In fact, you’ll also save time blow drying, since your hair will take less time to dry following a keratin treatment. As a plus, because you spend less time using heated styling tools, your hair will become healthier over time when you have regular keratin treatments. Your hair will no longer be frizzy, even in humid weather. Hair stays silky and shiny for months, regardless of the weather or your activity. That’s because the outside layers of each hair strand, called the cuticle, absorb the keratin and bond together, leaving each strand individually smooth. This bond also helps keep toxins out, for healthier hair. Keratin treatments work for several hair types, but are especially ideal if your hair is thick, coarse, and tends to frizz easily. If you’re tired of the frizz and would like smooth, straight hair without the hassle, make an appointment for a keratin treatment today at Untangled Salon. Our professional, well-trained stylists are dedicated to helping you look at feel your best every day! You can find us at 19924 Jetton Road, Suite 105 in Cornelius, give us a call at 704-895-9300, or send us an email at info@hairuntangled.com. Prefer to schedule an appointment yourself? Download our free mobile app at the AppStore, on Google Play, or on Amazon.